Proper makeup removal is an essential step of any skincare routine; getting that gunk and product off is important to keeping skin fresh, prevent breakouts and get rid of dirt buildup after a long day out. 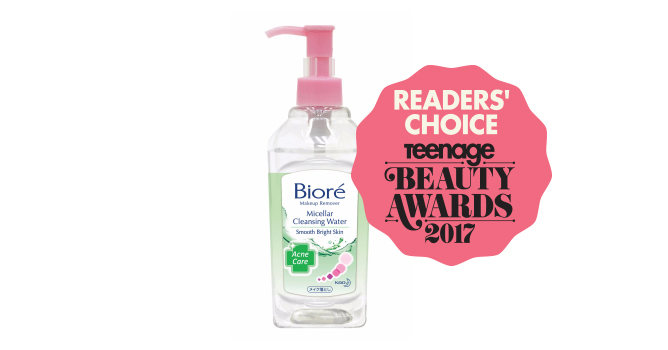 From oil cleansers to micellar water makeup removers to cleansing gels, here are all the heavy lifters from our Teenage Beauty Awards 2017! Browhaus Erase Make-up Remover, $18.90 Having trouble finding a makeup remover that’s gentle enough for sensitive skin and powerful enough to melt away stubborn makeup, the fragrance- and paraben-free Browhaus Eraser Make-up Remover does the job effectively. This oil-based makeup remover is easy to use too – simply emulsify three to four pumps of the formula with water, massage all over your face and rinse thoroughly – no tugging required! 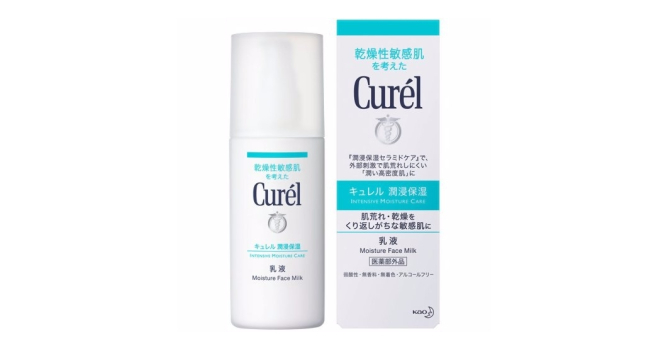 Curél Makeup Cleansing Gel, $19.80 Curel’s Makeup Cleansing Gel thoroughly removes makeup from deep within your pores, including long-wearing makeup. Suited for all skin types, this gentle yet effective makeup remover helps to soothe your complexion without drying it out. The oil-free, dermatologist-tested and colorant-free Perfect Water Cleansing contains Natural Silk Essence Complex and Double Hyaluronic Acids that rejuvenates and nourishes the skin with essential nutrients. 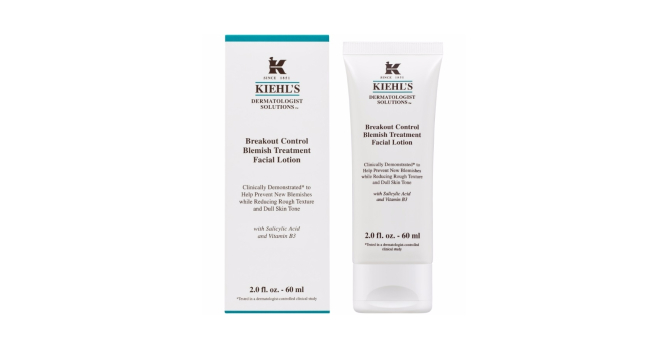 This water-based cleanser makes the removal of makeup an easy task by dissolving impurities and excess sebum, while cleaning up any residual dirt and oil along the way. Best part? There’s no need for an extra step of rinsing. An organic micellar water that’s infused with aloe vera and coconuts, this lightweight no-rinse cleanser effectively lifts away impurities and gives skin a healthy glow. To refresh skin, simply saturate a cotton pad and gently wipe away all traces of makeup and dirt, then pat dry with a towel. The formula of ASTALIFT’s Lunamer Cleansing Oil is far lighter than most oils, and it does not clog up your skin over time whilst still removing your eye makeup thoroughly. It eliminates pore-clogging sebum and any clogged gunk too. Infused with orange oil, this helps to purify and tighten your skin at the same time. This way, you can say bye to enlarged pores and say hi to clearer skin! The Biore Micellar Cleansing Water contains an ultra gentle yet effective makeup removal formula – natural mineral water from Japanese Alps with Micellar Watery Technology for the thorough removal of makeup. Micellar water contains micelle molecules that latch onto dirt, make-up and other impurities sitting on your skin for effortless removal. On top of that, it contains an anti-bacterial formula that prevents further pimples and outbreaks, and minimizes pores for a clearer and more refined complexion. 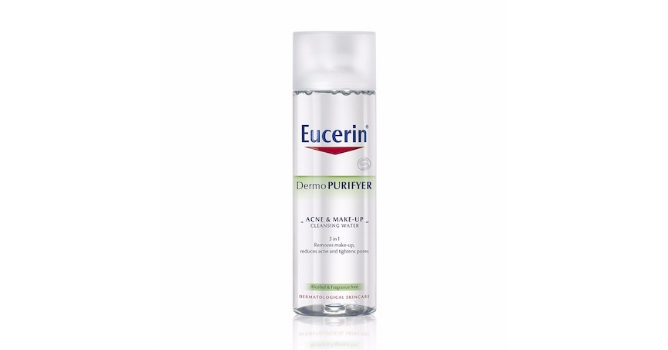 A micellar water that’s perfectly suited for acne-prone skin, all products under the Eucerin DermoPURIFYER range are compatible with commonly used acne medication and suitable for all needs (minor blemishes, combination skin, oily skin, blemished skin, acne). They have been scientifically proven; people who’ve used it demonstrated a significant improvement in their acne symptoms, which means you can trust Eucerin to help manage any of your existing and potential outbreaks. 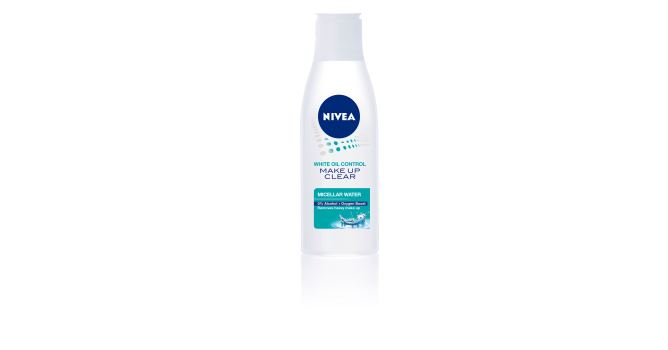 NIVEA White Oil Control Make Up Clear Micellar Water, $18.90 In the NIVEA Make Up Clear Micellar Water, it is incorporated with Superior Micellar Cleansing Technology that easily removes oil, dirt and heavy makeup without stripping the skin of moisture and that is thanks to the Oxygen Boost technology, which hydrates the skin while cleansing. You’ll be happy to know its free from alcohol, parabens, fragrances and silicones too. Travel- and wallet-friendly, this Micellar Cleansing Gel is part of Sephora’s skincare line that’s sounds good enough to be eaten. Massage the gel directly onto your face and you will notice how it melts into your skin to remove your makeup. Sephora’s new skincare line features other cleansing creams and micellar cleansing water too that can help cater to your skin’s different needs. 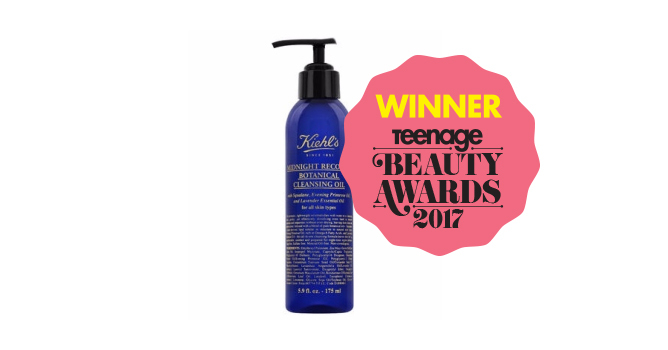 A clear winner amongst many makeup removers is Kiehl’s Midnight Recovery Cleansing Oil. The lightweight and slippery elixir is enriched with an aromatic blend of pure botanical oils, including squalane – a plant-derived lipid with a natural affinity for skin – evening primrose oil – rich in Omega-6 and Omega-3 fatty acids – and lavender essential oil. These oils leave your skin feeling replenished and rejuvenated and yet it’s non-comedogenic, which means it does not clog your pores too. The natural formula of this cleansing oil is what makes it so attractive because you know what’s exactly going onto your face without a ton of other foreign ingredients. 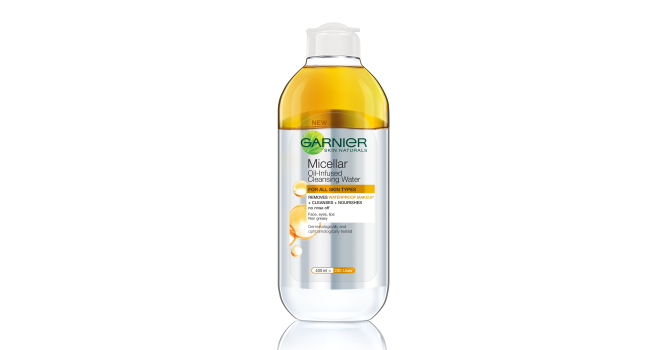 For the first time, Garnier’s Micellar Water is formulated with oils. This helps you cleanse your face thoroughly because it attracts all your makeup like a magnet, while the oil in the formula strips off even the toughest of water-proof mascaras and eyeliners easily. The bottle of Micellar Oil-infused Cleansing Water claims there are 200 uses, which makes this an excellent beauty buy without the hefty price tag. This affordable, drugstore makeup is easily one of your skincare staples. Apart from being instant perk-me-ups, many blushers now double up with contour and highlight features to give your complexion that polished glow. 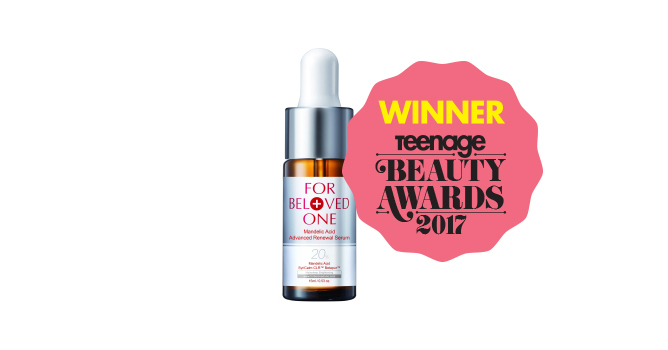 Here are some of our top Teenage Beauty Awards 2017 picks! 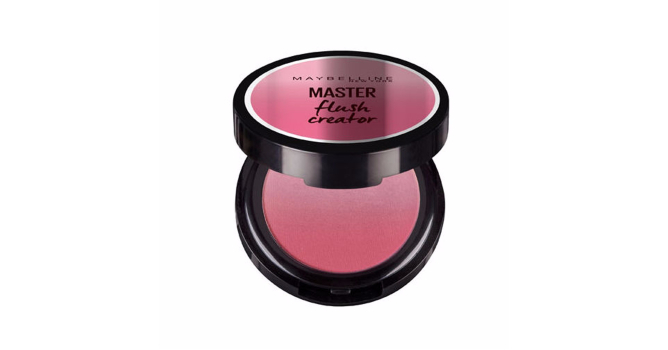 Maybelline Master Flush Creator, $19.90 While we’d usually be a tad apprehensive about shimmery blushes, the Maybelline Master Flush Creator gives a soft glow that doesn’t overwhelm the face. Its colour palette consists of a lighter shade that can be used as a highlighter, whereas the darker shade creates a sculpting effect that’ll lend definition to your mug. Lightly dust it on for a subtle glow or build it up for an intense flush. If you can’t already tell, ombre blushes are definitely a trend that’s here to stay. Essentially a three-in-one product (highlighter, blush, and contour). The NYX Ombre Blush features intense pigments with a satin finish that’ll give you a gorgeous glow all day. And despite its rich colour pay-off, even makeup beginners will be able to get their desired look effortlessly as it swipes on and blends easily without looking patchy. 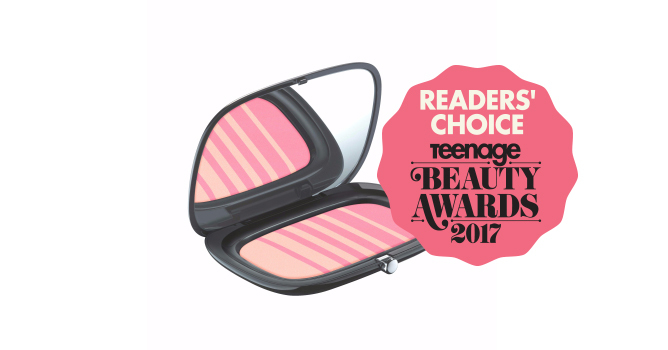 Fans will also be pleased to know that the our Teenage Beauty Awards 2017 judge’s choice winner comes in eight gorgeous shades that vary from natural hues to brilliant brights – all the better for you to play with! The Play 101 Stick Contour Duo is a creamy blusher and highlight stick that works in tandem to create the popular “non-touring” K-beauty glow; it provides a muted yet more refined contouring effect to help create subtle definition. And its stick packaging makes it super easy for precise application while on the go – simply dot on and blend out with a contour brush or even your fingertips. 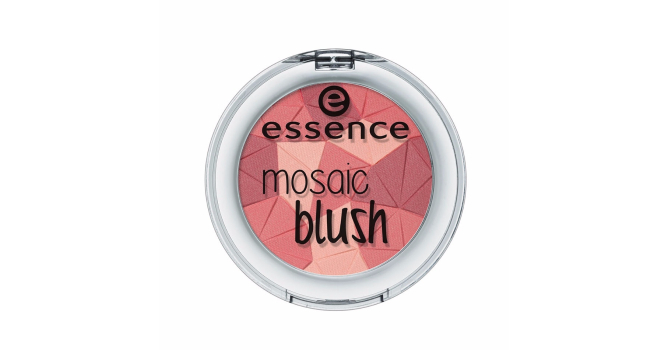 Featuring a tri-colour palette that’ll add an oomph to your everyday look, essence’s Mosaic Blush is a quality blush with the advantage of an affordable price tag. You’ll have to use a dense blusher brush to better pick up the pigments, but its silky texture allows the product to blend seamlessly. 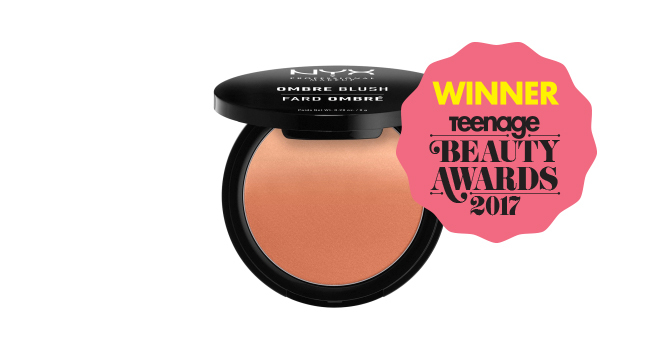 Tip: Double up this handy blusher as an eyeshadow for a monochromatic look! 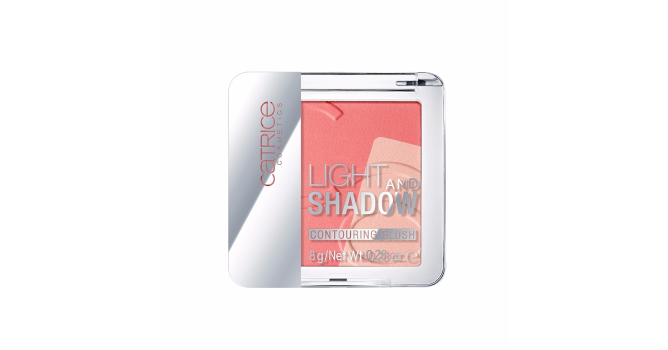 The Catrice Contouring Blush consists of two varying textures; a matte shade and a subtle shimmer. While both are slightly sheer, this powder blusher is easily buildable, which makes it easier to control. Worth the rave, it is not hard to see why the Marc Jacobs’ Soft Glow Duo is the Reader’s Choice for the year. The product comes in two different shades in one pan, and they are stripped with alternating colours which makes blending of both perfect. Each end has a slightly larger area of color so you can actually customise the intensity or colour. Swirl the brush more on the left side for a lighter finish or dip it into the right side for more pigment and deeper colour. The beautiful, intense formula of Marc Jacobs gives you the seamless flush that looks flattering on many skin tones. Suffering from painful acne that just won’t ease up? We know your pain. 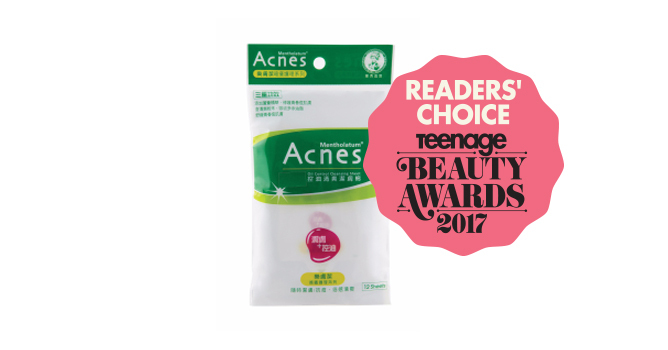 Check out our list of top Teenage Beauty Award 2017 nominees that’ll tackle pesky pimples, improve your complexion and keep blemishes at bay! 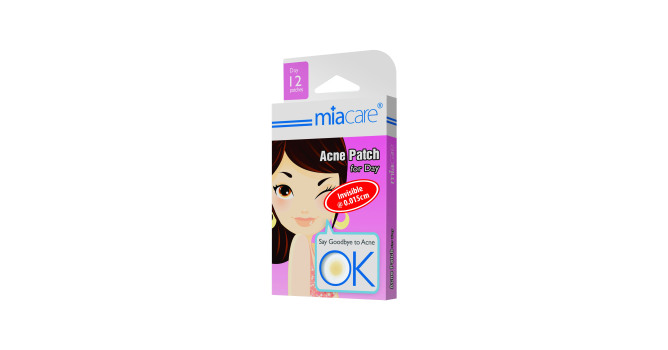 Miacare Acne Patch for Day, $4.50 If you have the habit of picking at your pimples, then the Miacare Acne Patch is perfect for you. An effective blemish buster, each pack comes with super thin, flesh-coloured medical grade hydrocolloid dressings that help to absorb excess sebum and oil from the pimple and allows the area to heal quickly while acting as a protective layer to minimise bacteria. Simply patch onto clean skin and watch as your spots ‘magically’ disappear in less than 72 hours! For Beloved One Mandelic Acid Advanced Renewal Serum, $55 Treating acne from deep within, lightening dark pigmentation left by blemishes, brightening skin tone and exfoliating dead skin cells – For Beloved One’s Mandelic Acid Advanced Renewal Serum does it all. Infused with mandelic acid, the gentle chemical peel will even help to control oil secretion and deep cleanse pores to reduce the chances of acne outbreaks. And it’s safe for sensitive skin, so you don’t have to worry about irritating your acne-prone complexions further. 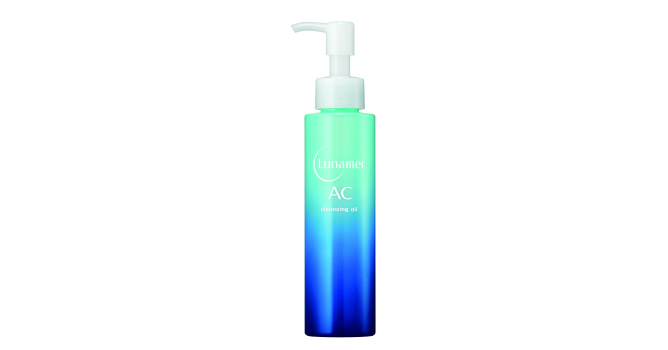 While this acne saviour is definitely pricier, its multi-tasking abilities makes it an essential for any skincare routine. 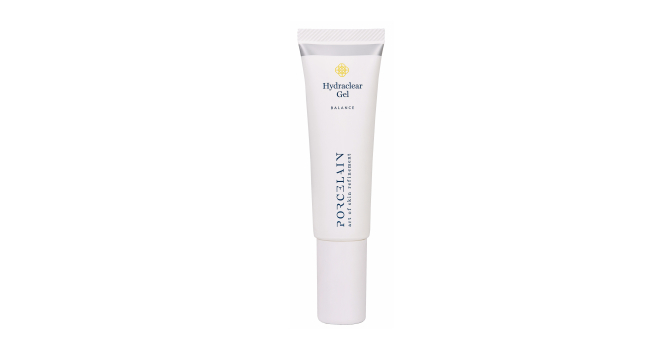 Porecelain’s Hydraclear Gel is a watery gel that helps to control sebum, supply moisture, increase water retention and sebum balance in skin. It helps to reduce inflammation and microbial activities which prevents acne formation without causing peeling, sensitivity or redness. Additionally, it helps to brighten and refine the rest of your face, giving you the clear, healthy skin you’ve always dreamed of. Not like most makeup remover or cleansing sheets, the Acnes’ Oil Control Cleansing Sheet has perforations in it that helps exfoliate, lift dead skin and loosen some whiteheads. The sheets are saturated with liquid, but not dripping wet, and after each use, your skin will feel like it has been deeply cleansed. It contains a number of herbal extracts such as Ruscus Aculeatus Root Extract and Centella Asiatica Extract that keep bacteria at bay, decreasing the chances of breakouts occurring. The Body Shop Tea Tree Anti-Imperfection Daily Solution, $32.90 A lightweight, pre-serum concentrate that helps to fight breakouts, The Body Shop’s Tea Tree Anti-Imperfection Daily Solution is formulated with tea tree oil that helps to purify skin, treat acne and soothes redness and inflammation. Do remember to apply plenty of moisturiser after using as the formula can be quite drying on skin. This Kiehl’s lotion is an all-over treatment that aims to prevent acne from forming whilst soothing your skin and reducing dullness. It contains gentle exfoliating acids that help remove dead surface skin cells that can trap oil, and ingredients that calm and brighten the complexion. The ingredients include 1.5% salicylic acid that reduces inflammation, aloe vera to soothe the skin, and vitamin B3 (or niacinamide) that helps in skin-restoration. 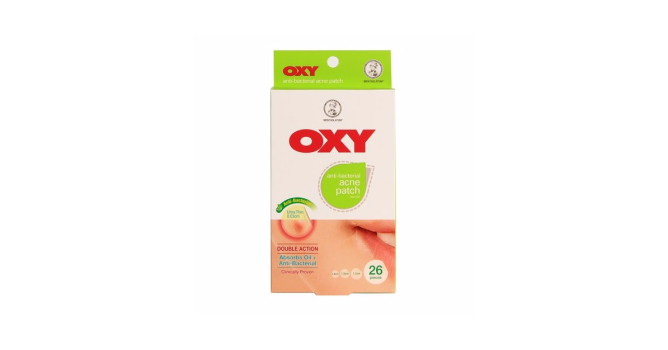 Similar to Miacare’s acne patch, the OXY Anti-Bacterial Acne Patch works to fight acne by using a hydrocolloid ingredient to absorb excess oil and dirt directly from blemishes like a sponge. It also comes with UV protection that helps prevent sun rays from aggravating the acne spot, and is water- and sweat-proof, so you can apply it on comfortably throughout the day without it falling off midway. 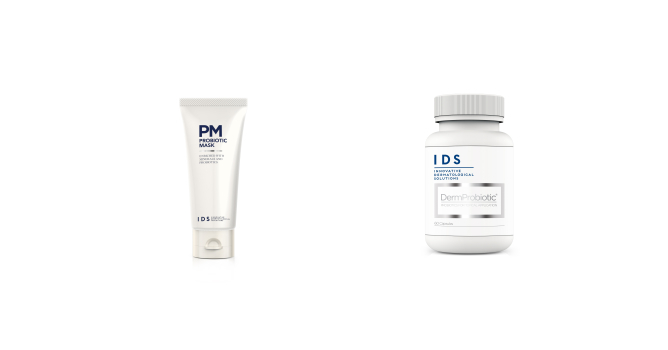 IDS DermProbiotic, $55 and IDS Probiotic Mask, $67 Used in tandem with IDS’ Probiotic Mask, the brand’s DermProbiotic pills contain a live strain of bacteria that’ll help calm blemish-ridden skin instantly. Simply empty a capsule into a small amount of the mask and blend it in. Then, apply it on acne-affected areas and watch as it helps to reduce inflammation and destroy harmful bacteria lurking on the skin’s surface. 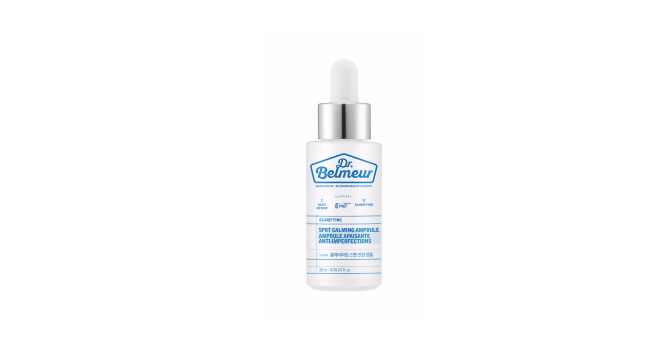 Part of THEFACESHOP’s Dr. Belmeur line, the Dr. Belmeur Clarifying Spot Calming Ampoule helps to soothe sensitive problem areas and relieve dry and flaky skin around healed acne spots. The spot treatment comes with a dropper tool (yay for hygiene!) and spreads easily once applied onto skin – you’ll notice budding pimples disappearing within a day and that active acne heals faster. What are some of your skincare must-haves? Share your recommendations with us! 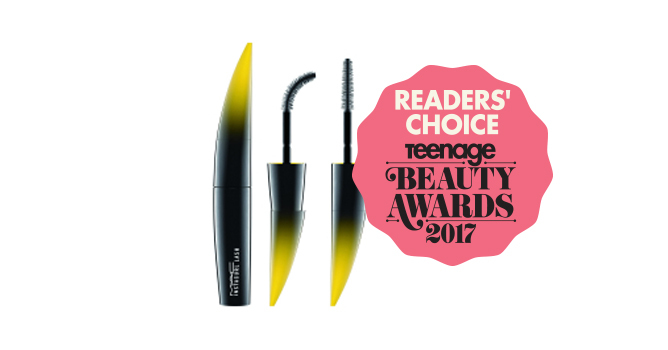 Thick, luscious lashes are just a few swipes away with these 7 mascaras from Teenage Beauty Awards 2017 that’ll work wonders on your peepers and bring ’em into the spotlight. 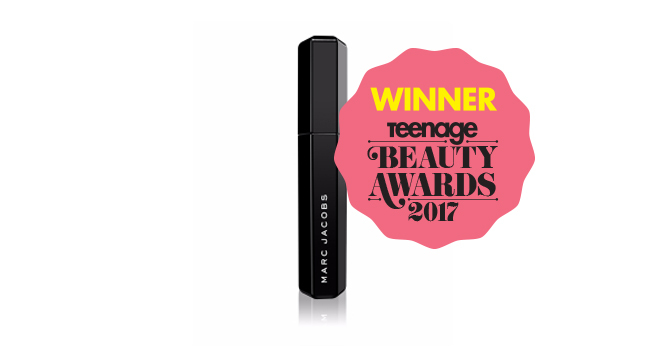 For those with short or sparse lashes, the Marc Jacobs Velvet Noir mascara makes a world of difference in just three swipes – and our Judges’ Choice winner boasts the ability to give lashes up to 1800% more volume! Achieve the falsie effect easily thanks to its ultra-black formula that’ll give you life-changing volume instantly, sans any clumping. Extra bonus points goes to its mascara wand: its brush bristles allows for clean and even product distribution at hard-to-reach areas! Infused with Elastic Stretch Technology – a fancy technology that wraps each individual lash with a coat of lengthening, fattening, and blackening mascara – this formula rescues short and sparse lashes and gives you those va va voom flutterers of your dreams. Additionally, it has ingredients like collagen, biotin, and other powerhouse proteins and peptides that strengthen lashes over time as well. With that being said, the IT Cosmetics Superhero Mascara isn’t smudge- or waterproof, so be prepared for slight smearing throughout the day. 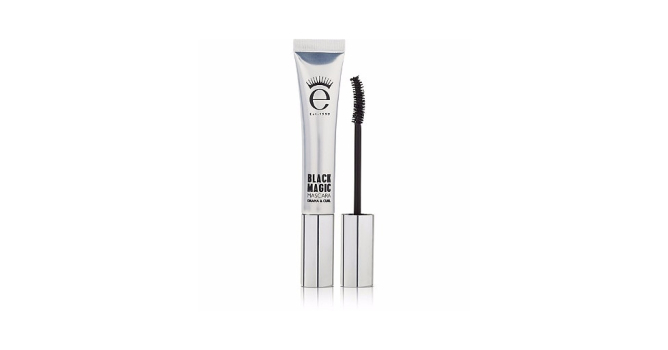 Armed with a curved brush that lifts lashes for a 90-degree curl, the Eyeko Black Magic Mascara assures supple and defined lashes that will last you all day. This paraben-free formula contains conditioning botanical Keratin and Shea Butter extracts for the ultimate staying power of about 12 hours, yet it’s still easy to remove – living up to the magic it promises. At a budget price, Catrice’s Glam & Doll mascara holds the curl of your lashes so well it is comparable to the high-end mascaras in the market. 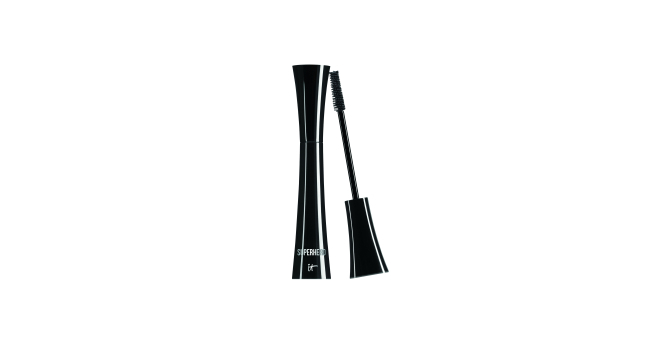 The wand is curved to ensure that every lash of yours is coated well with product. 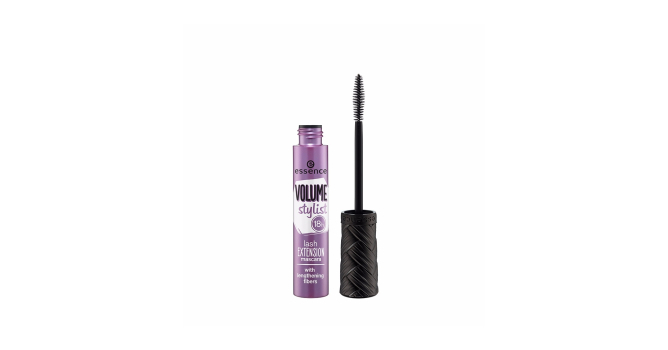 Although not water-proof, this go-to drugstore mascara ticks off all the boxes at a highly affordable price! 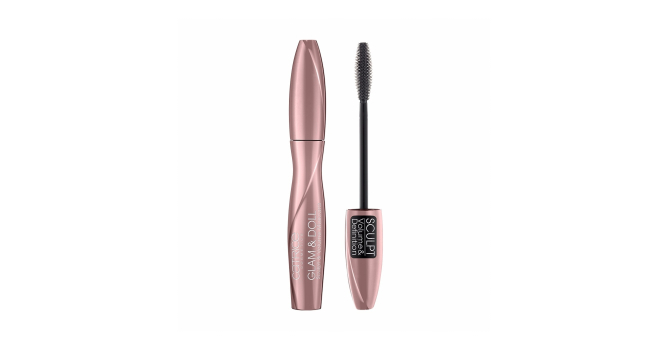 Encompassing lengthening fibers for fuller and longer lashes and a fiber releasing extension brush as a wand, the rounded brush that comes with the essence Volume Stylish 18h Lash Extension Mascara helps give lashes that extra pop. And you can count on the staying power of this mascara because it holds your lashes for a really long time without clumping or flaking. If there were a queen of mascaras, this would be it. M.A.C.’s Instacurl Lash mascara comes with a super-nifty and bendy silicone-bristle brush that seals the deal for us. With a simple twist, the wand bends to the right, helping you reach every corner of your lashes. The bristles are fine and precisely positioned in such a way to comb through the tiniest, and most fragile lashes to create false-lash length without clumping. If it’s anything that will include that drama-rama effect to your lashes, this is it. The applicator might look slightly quirky and unordinary, but the Maybelline THE FALSIES Push Up Angel Waterproof Mascara definitely delivers that oomph your lashes needs. It requires slight technique finesse and it seems like tilting the brush at a 45-degree angle up from the base of your lashes rather than combing through straight on, helps give ’em lashes the extra length. 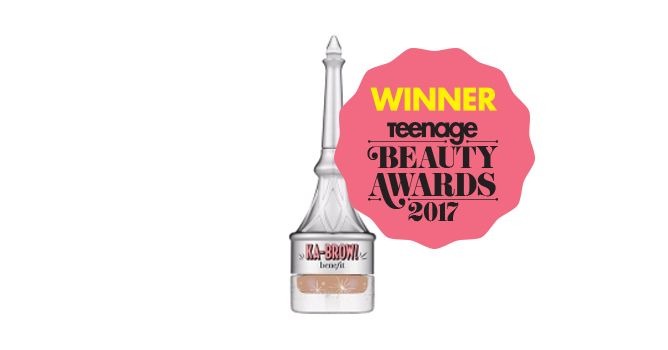 Forget the pain of having bad brow days – we’re here to the rescue with the arch-raising products that scored at our Teenage Beauty Awards 2017! From pomades and powders to pencils and gels, these babies will have your #BrowGameStrong in no time. 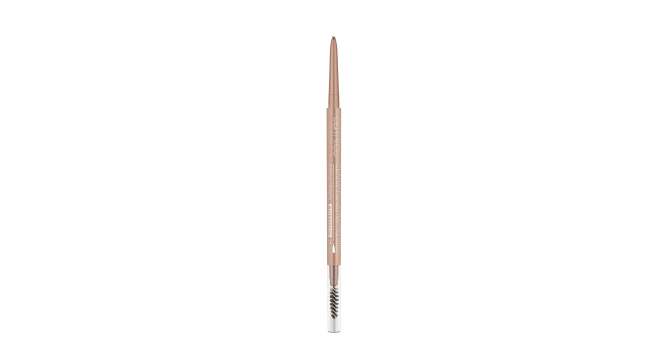 A dual-ended retractable brow pencil that contains a unique wing-shaped brow comb to tidy your brow hairs, this product has a fine pencil tip that’ll help you achieve natural, full-looking arches that won’t smudge out throughout the day thanks to its long-wearing and waterproof formula. 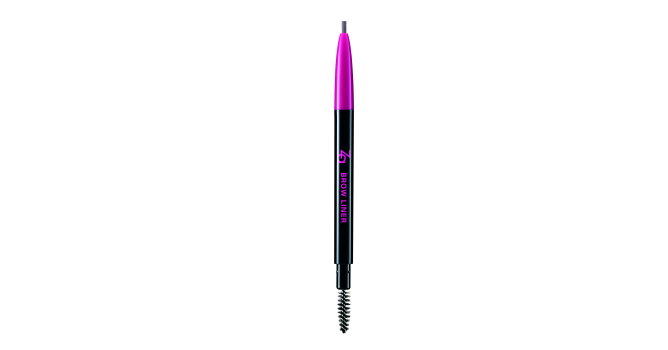 A quick and easy-to-use brow pencil, it may be slightly tough to use when it’s brand new. But that is no biggie, just run it over your skin a couple times to warm up and soften its edges, making it a whole lot easier to apply. The spooley that’s attached on the other end helps sheer out the colour and smoothen out any hard strokes, giving you a more natural look. 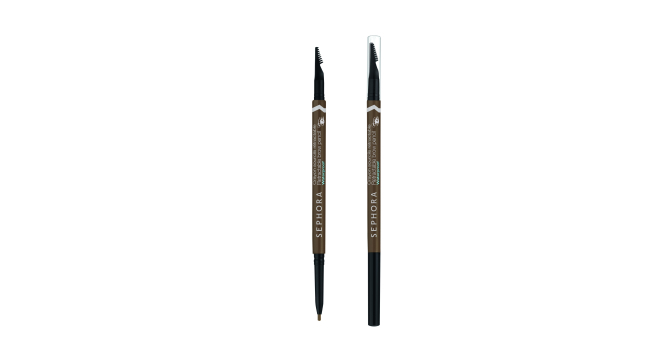 Thanks to its affordable price and easy-to-use nature, the ZA Brow Liner is perfect for beginners. The first of its kind in Maybelline’s extensive brow lineup, using a brow tint might seem intimidating to some but it’s actually surprisingly easy to use. Using its applicator, which is shaped like a lipstick brush, simply paint on a thin layer of product according to your natural brow shape. We recommend having an oil-based makeup remover and cotton tips handy incase you make a mistake. Then leave it to dry depending on how dark you’d like it to be – 20 minutes at least and two hours at most – and gently peel off afterwards. The gel tint stains your brow hairs and the skin underneath but you don’t have to worry about looking like Crayon Shin Chan; the brow tint lends a pretty stain that’ll gradually wear off and gives the “your brows but better” effect. A tinted brow pomade, this cream-gel tint comes in a pot with a built-in brush that allows you to either keep your arches natural or sculpt out an intense brow look. A little goes a long way with this waterproof formula, so you can definitely count on it to last forever – and through impossibly hot days. 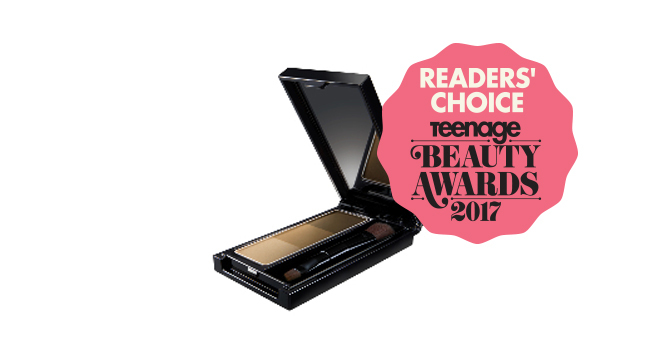 While Benefit already has a great track record with their brow products thus far, our Teenage Beauty Awards 2017 Judge’s Choice is definitely one to have in any makeup kit! 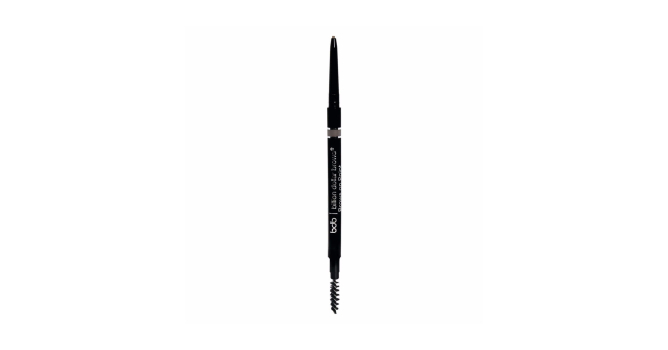 NYX Micro Brow Pencil, $16 Need ultimate control over thick unruly brows? NYX Micro Brow Pencil will do the job despite its unassuming packaging. It has a waxier formula than the other brands on the list, and its fine tip will allow you to fill in your arches with fine brow-like strokes. Skinfood Mineral 3-in-1 Hard Formula, $18.90 This Skinfood 3-in-1 Hard Formula is unique because on one end, it features an oil-resistant, long wearing brow pencil on one end, and the creamy powder cushion applicator on the other. The former is shaped like a triangle which will allow you even greater precision to fill in all the angles, while the cushion end helps fill in sparse areas effortlessly. It also includes a third function – a screw brush that’s handy for brushing out harsh lines for a natural finish. Compact and functional, no brow is the limit with this multi-purpose product. As explained in its name, the Billion Dollar Micro Pencil features a thin tip that does not need to be sharpened to create super fine, hair-like strokes that’ll have you rocking great brows in no time. And it’s waterproof and it does not smudge like how powders or pomades do, which means your brows are guaranteed to be on point all the time. 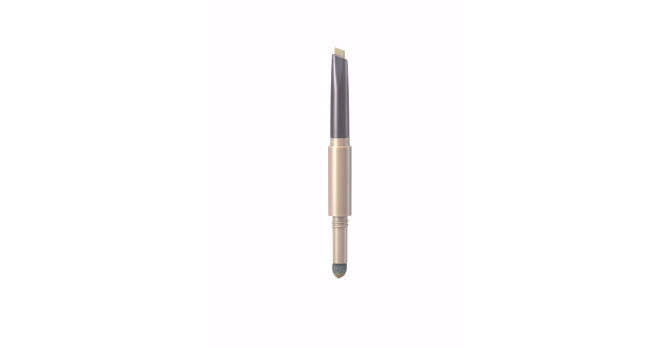 Catrice Slim’Matic Ultra Precise Brow Pencil Waterproof, $5.50 Those with sparse brows will love this product. It’s creamier texture glides on smoothly while delivering strong colour in one stroke. 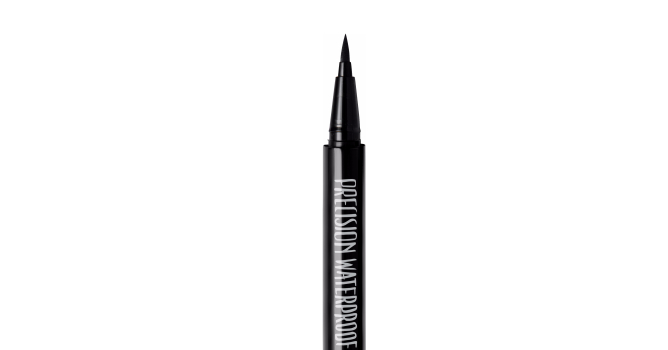 You won’t have to worry about your brows disappearing mid-day, because this baby will last all the way! Kate Designing Eyebrow 3D, $20.50 The fan favourite of the lot, this eyebrow palette offers three varying shades to help you contour and design your perfect brow. Its powder formulas impart a softer appearance that can be easily turned into something more defined and contoured by building up more product, and its lightest shade is great for blending out any harsh edges.